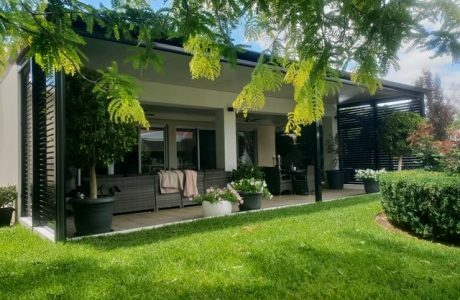 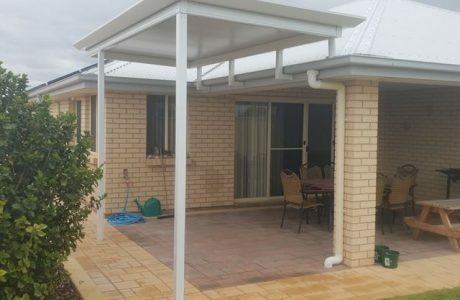 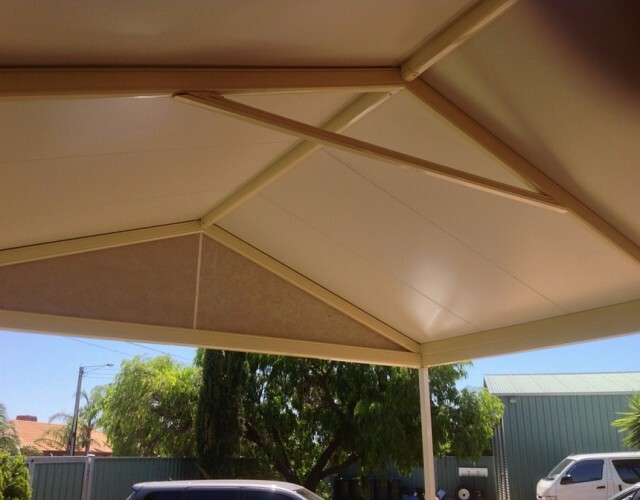 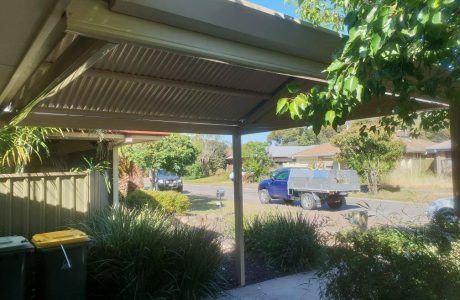 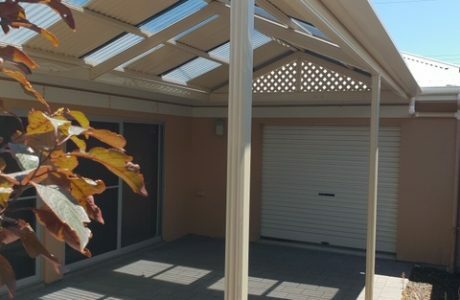 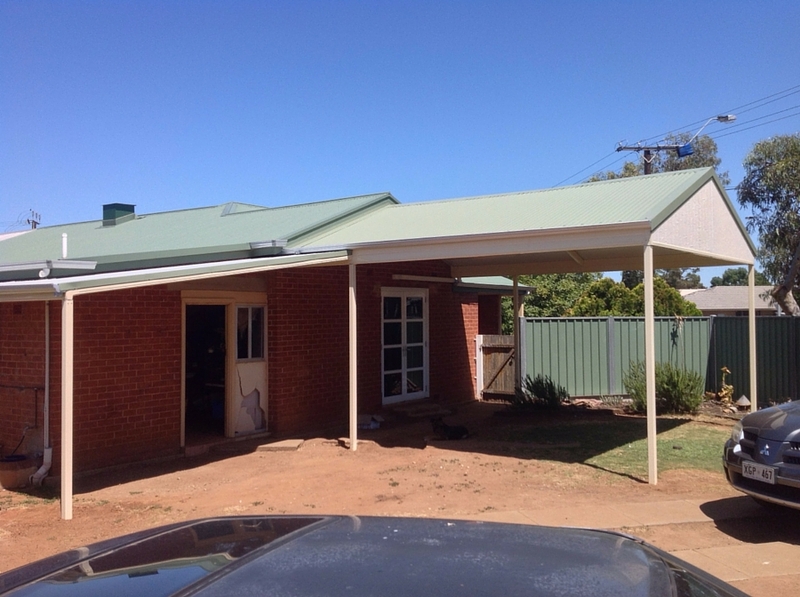 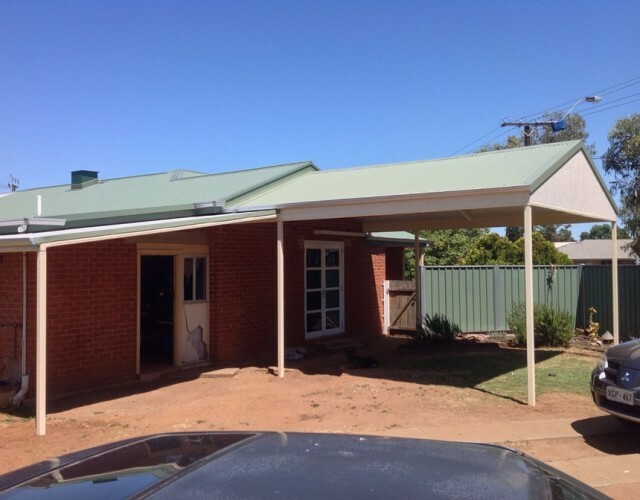 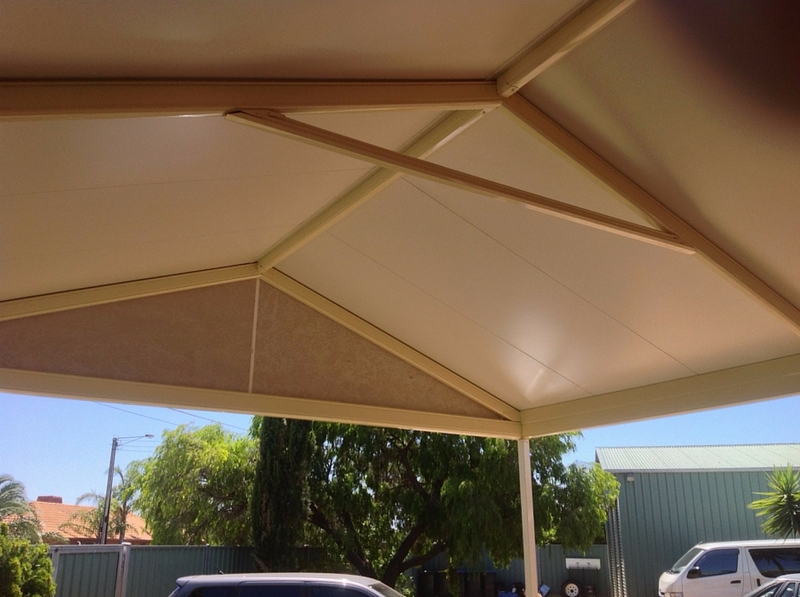 Our latest project is a clearspan gable verandah with Cooldeck roof sheeting. 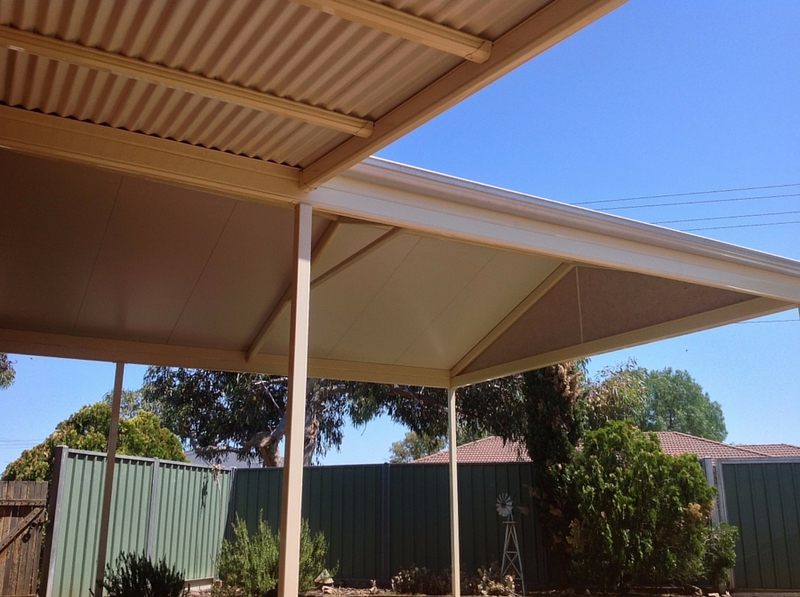 Cooldeck roofing is an insulated panel that keeps the heat out and gives the appearance of a ceiling underneath. Complimenting the gable is a skillion roof with traditional corrugated sheeting.